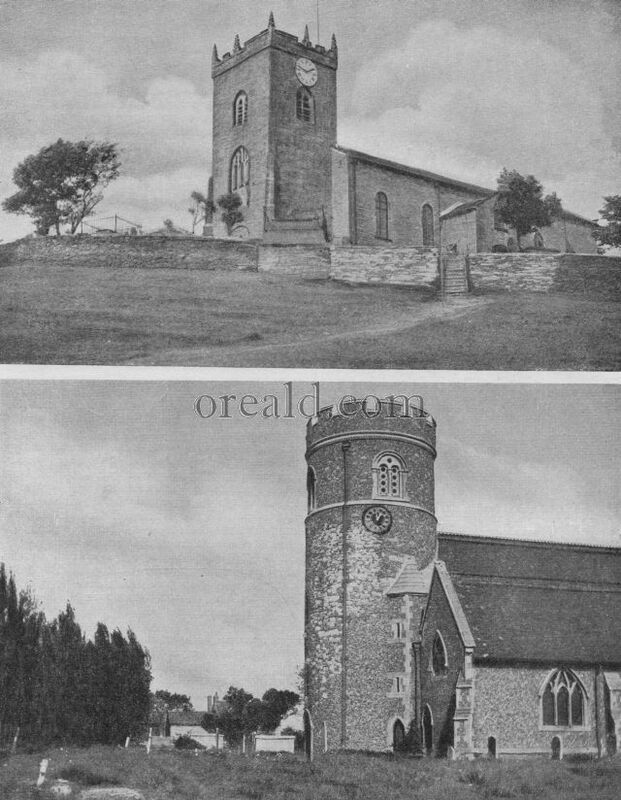 In spite of its having been partially rebuilt in 1886, the church of S. Nicholas (bottom) at South Ockenden remains essentially Norman in character, and is an excellent example of the old flint churches. The round tower has been restored without serious deviation from the early Norman original, and the enrichment of the north doorway is Norman. Mellor church (top) the pride of a little village near Marple in Derbyshire, has a cherished possession in a 14th-century pulpit, believed to be the oldest in England.